Boho goddess! 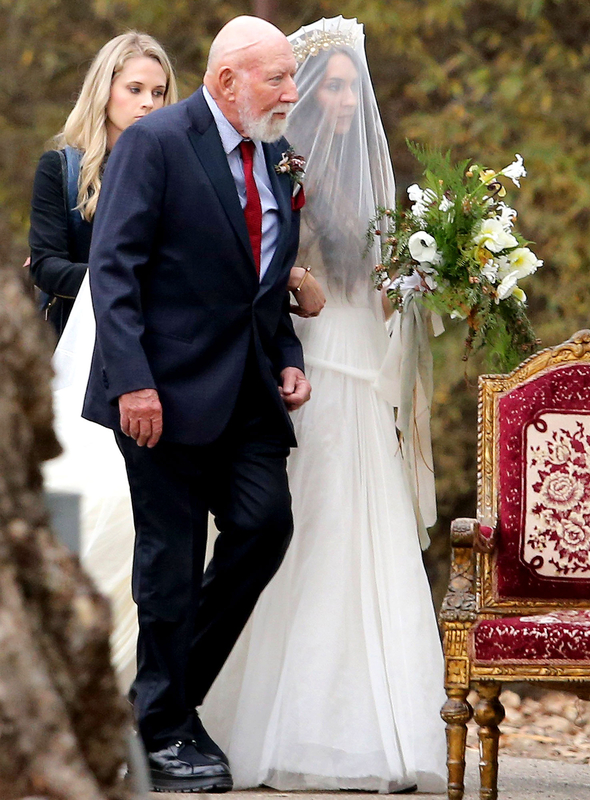 Troian Bellisario married her longtime love, Patrick Adams, in Southern California on Saturday, December 10, and she chose a very fitting, minimally embellished but whimsical wedding dress for her rustic ceremony (complete with a bus and tents!). The Pretty Little Liars actress, 31, stunned in a gauzy white dress with a fitted bodice, sheer sleeves and a sweeping skirt. 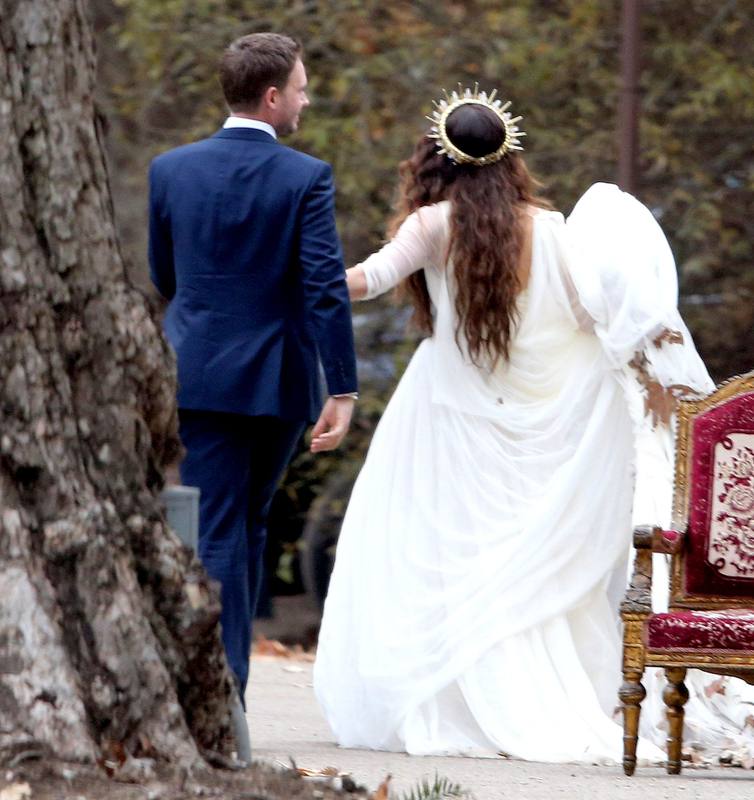 She added a gold crown topped with a long veil and carried a bouquet of wildflowers. Adams, 35, meanwhile, chose a trim navy suit to complement his bride. But staying stylish in the woods is no easy feat! As the Suits star shared via Instagram, he, Bellisario and their guests spent the morning after picking leaves and needles out of the actress&apos; veil. "Bless you @brendanpatrickhines for getting this on camera," he captioned December 11. "If [the] ceremonial cleaning of the veil isn&apos;t a thing it should be…" The video also flashed a quick glimpse of Bellisario&apos;s sparkling new wedding band. The newlyweds each posted one more sweet image that day: a shot of the both of them, hand in hand, standing in front of a beautiful sunset. Bellisario captioned, "I can truly say that I have never had a more beautiful or happier three days in my life, but what&apos;s more incredible than that was that right in the middle of it I married my best friend. @halfadams I love you. Always and in all ways. #fortday2016 (photo by the incredible @maxwanger thank you max)." Adams added, "Always forward. Never backward." Adams also explained the couple&apos;s wedding hashtag: #fortday2016. "8 years ago we built a pillow fort in my old apartment and started a conversation that has grown into a whole life. It was just a quiet shared idea that became a yearly tradition. This year we invited some more people. A lot more. And we made a wedding out of it. Three perfect days with friends and family. Kids screaming and laughing in the pool shouting &apos;Fort Day&apos; at the top of their lungs. Our incredible tribe lifting us up the same way they have for so many years. It&apos;s impossible to put into words how it all felt. Filled with so much gratitude that I&apos;m lucky enough to have married my best friend. 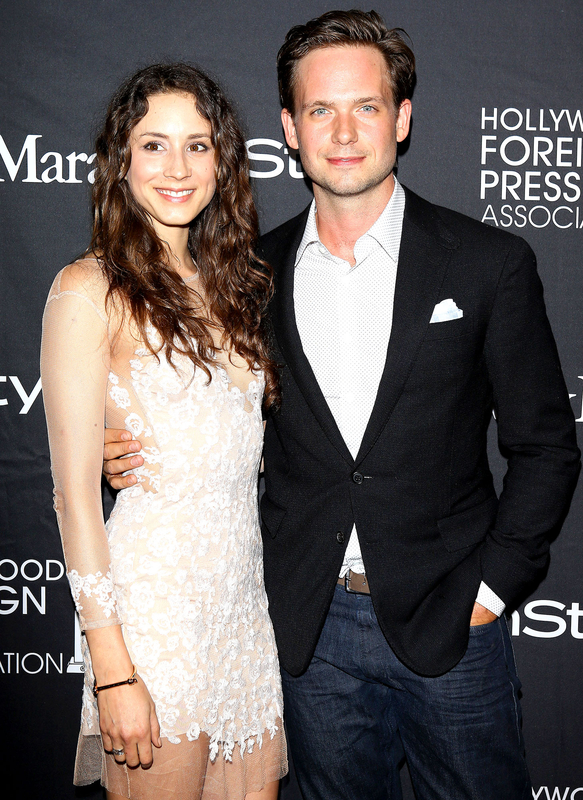 Love you @sleepinthegardn – can&apos;t wait to see what happens next. #fortday2016 cred @daveschwepphotography."